NEW WINDSOR – The 600,000-passenger projection for New York Stewart International Airport in 2018 was exceeded by more than 90,000 passengers. 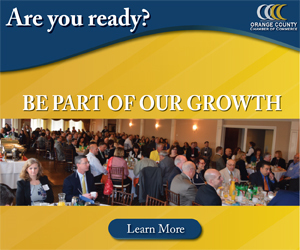 Airport Business Development Director Michael Torelli told the Stewart Airport Commission last Tuesday the total number of people to use the Newburgh area facility last year was 690,411. That is an increase of 54 percent over 2017 numbers of 448,323 passengers. Most of the growth can be attributed to the Norwegian Air service to Europe with a 130 percent increase in international service in 2018 over 2017. The greatest number of passengers carried at Stewart was 997,000 in a 12-month period in 2007-08. Cargo flowing through Stewart saw an increase of 7.1 percent last year, at 23,259 tons, compared to 2017. 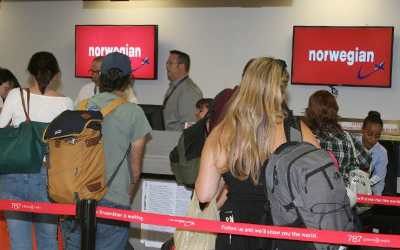 Torelli said that a reduction in some service by Norwegian was seasonal and it would resume the previous schedule of 21 flights per week in March. Norwegian has grown so rapidly that it has impacted its bottom line and British Airways parent IAG has explored purchasing the low-cost carrier. Those talks ended and oil shipping magnate John Fredriksen invested $353 million into Norwegian.